What are the proper procedures that civilians should follow during an encounter with police? A forum on civilians' rights helped clear the confusion. LANDOVER, Md. — What are the proper procedures that civilians should follow during an encounter with police? 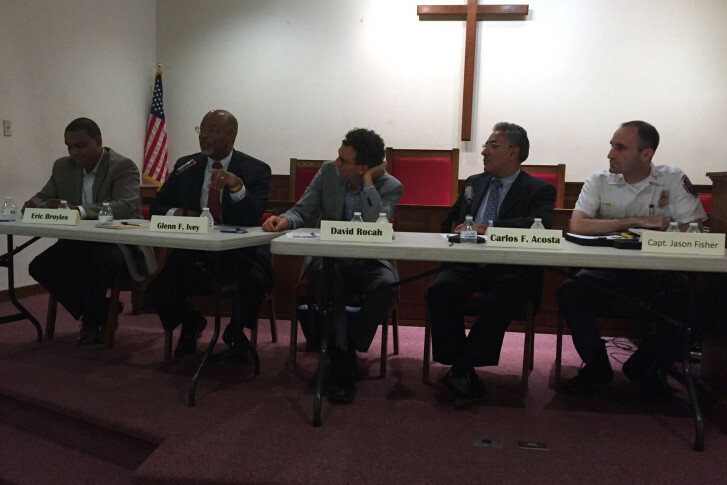 For many people, these procedures are not always clear, and they’re not widely taught, which is why Maryland state Sen. Victor Ramirez hosted a “Know Your Rights” forum this week at Eastern Community Church in Landover, Maryland. The forum’s panelists included Carlos Acosta, inspector general for Prince George’s County police; Eric Broyles, attorney and author of “Encounters With Police: A Black Man’s Guide to Survival”; Prince George’s County police Capt. Jason Fisher; Glenn Ivey, former Prince George’s County State’s Attorney; and David Rocah from the American Civil Liberties Union of Maryland. Ivey stressed the importance of following an officer’s orders. “If he’s telling you to do something, do it … you can contest it later, but do not challenge it on the scene. Because what they’re going to do is, they’ll escalate until you comply,” he said. But if an officer asks you if he can do something — for example, if he asks to search your car — Rocah says you should say no. “The answer is no, because if the police have the legal authority to do what they’re asking, they will do it whether you consent or not,” he said. If you do consent, Rocah said you lose your ability to later challenge whatever the officer’s request led to. If you think you were mistreated by a police officer, Broyles advised filing a complaint with the officer’s department. “It may help the department identify bad actors,” he said. And if numerous complaints rack up against a single officer, it will get noticed and may help down the road. “These officers who are doing killings … how many people in the community saw them do other bad things and said ‘Well, I’m not going to write a complaint’,” said Broyles. Recent changes from the Maryland General Assembly mean that civilians no longer have to get a complaint notarized that’s being filed against an officer, said Ramirez. And the time you have to file that complaint after an incident has been extended: from 90 days to 366 days. If police pull you over while you’re driving, Acosta said to turn on the lights inside your car. He added, “If an officer’s approaching a dark car, it’s very frightening. When all the lights are on and the window’s rolled down, especially if you have tinted windows, [there’s] nothing to be stressed about because they can see everything.” Also, he said, don’t get out of the car unless you’re told. If you’re stopped by police and you want to end the encounter, Rocah said that it’s OK to ask the officer “Am I being detained, or am I free to go? The ACLU has a free app called Mobile Justice that allows people to record video on their phone and immediately send it to the ACLU in case the police confiscate their phone.